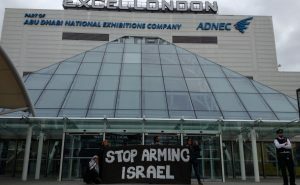 Israel’s three largest arms companies– Elbit, Israeli Aerospace Industries and Rafael – were present at DSEI 2015, and an Israeli national pavilion inside the fair hosted many smaller Israeli arms companies. 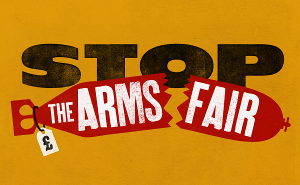 Day 4: ‘Conference at the gates’ …and more great action to challenge the setup of the arms fair! 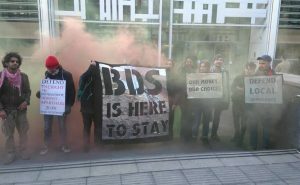 Week of action launched with a blockade! 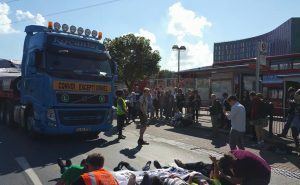 The week of action against the DSEI arms fair got off to an exciting start today, with the road entrances to the ExCeL Centre blockaded in acts of creative protest. 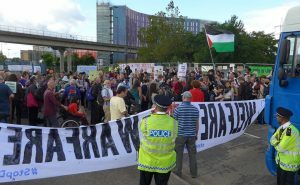 Hundreds of people have come out in support of the people on trial for taking action at the DSEI arms fair. 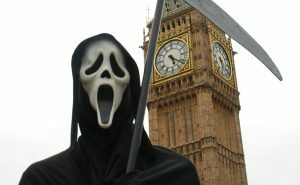 Below is an open letter from groups in Palestine in solidarity with the actions taken.